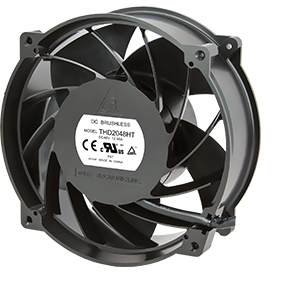 THD series fan is refer Raptor as design object, which represents the quiet, high efficiency and powerful. From the field observation found that the bird's wings have a special airfoil section and also by simulation approach, we are able to establish the best airfoil parameters. This feature is conducive to the future use of high-density high-impedance systems, such as: Networking, TELECOM 4G \ 5G, DATA CENTER, SEVER ... and so on. THD series offers different sizes of products, from SQ80mm ~ OD200mm.